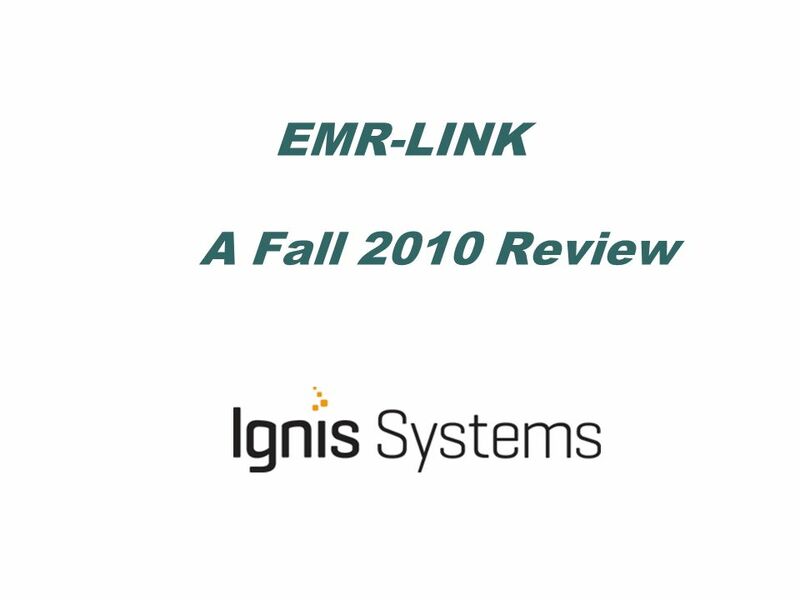 EMR-LINK A Fall 2010 Review. 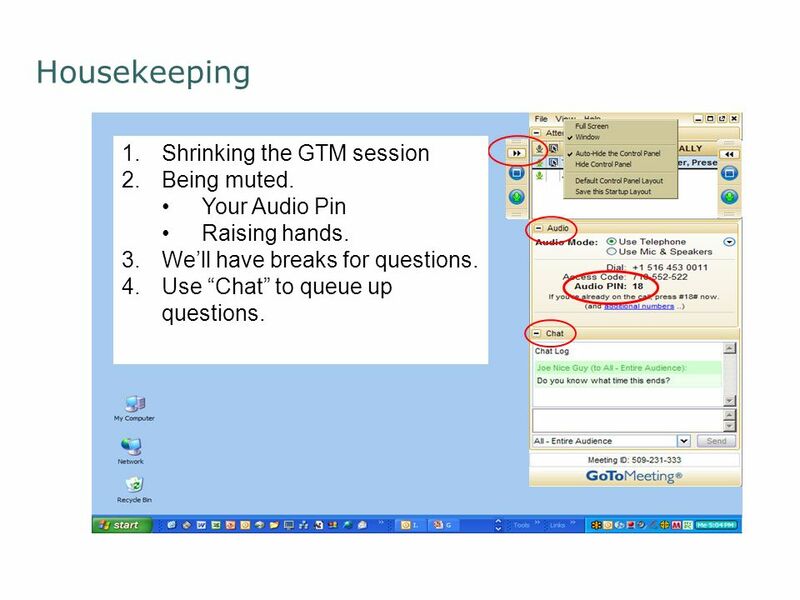 Housekeeping 1.Shrinking the GTM session 2.Being muted. Your Audio Pin Raising hands. 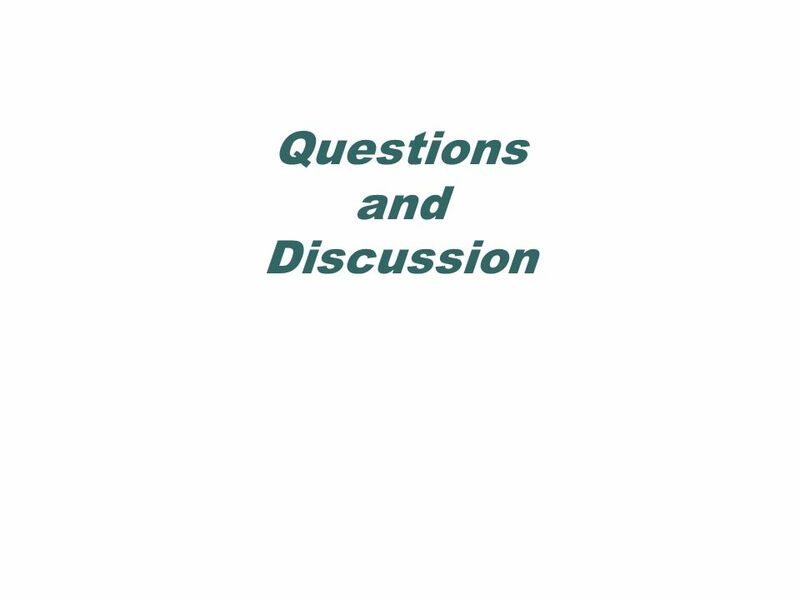 3.Well have breaks for questions. 4.Use. 2 Housekeeping 1.Shrinking the GTM session 2.Being muted. Your Audio Pin Raising hands. 3.Well have breaks for questions. 4.Use Chat to queue up questions. 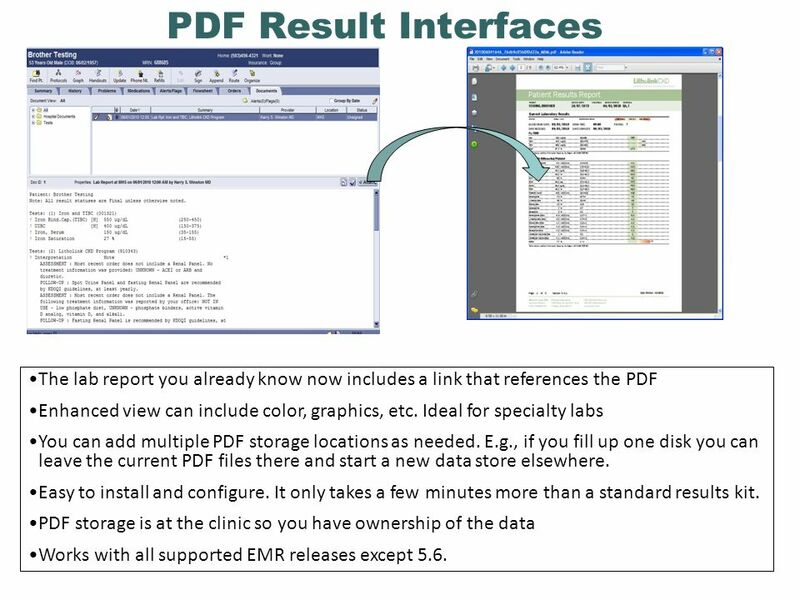 10 PDF Result Interfaces The lab report you already know now includes a link that references the PDF Enhanced view can include color, graphics, etc. 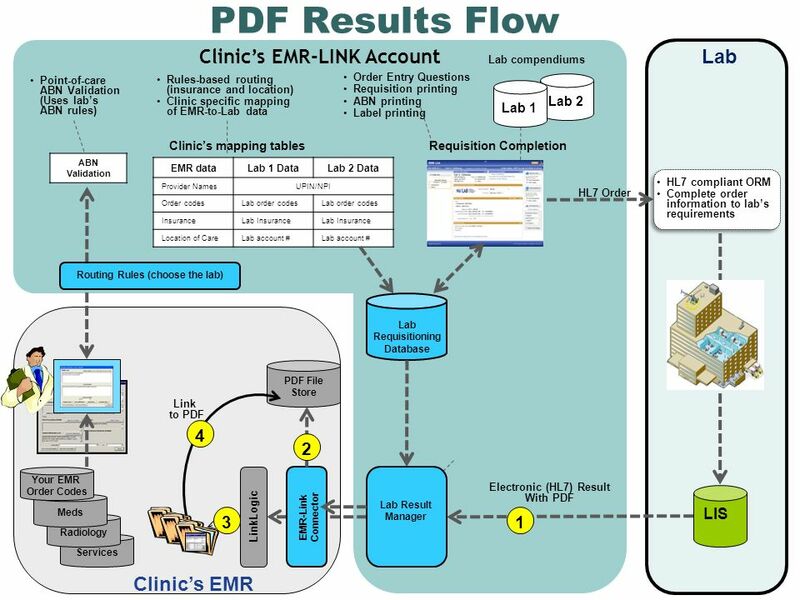 Ideal for specialty labs You can add multiple PDF storage locations as needed. E.g., if you fill up one disk you can leave the current PDF files there and start a new data store elsewhere. Easy to install and configure. 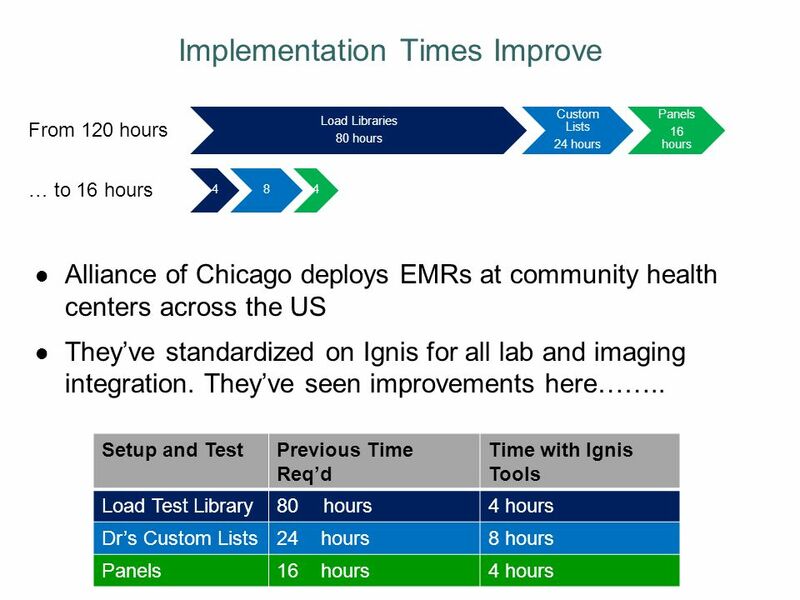 It only takes a few minutes more than a standard results kit. 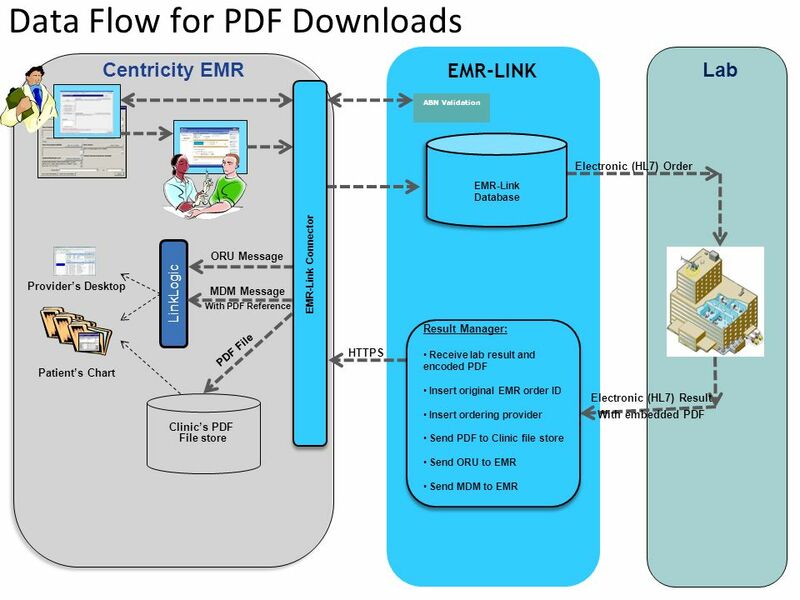 PDF storage is at the clinic so you have ownership of the data Works with all supported EMR releases except 5.6. 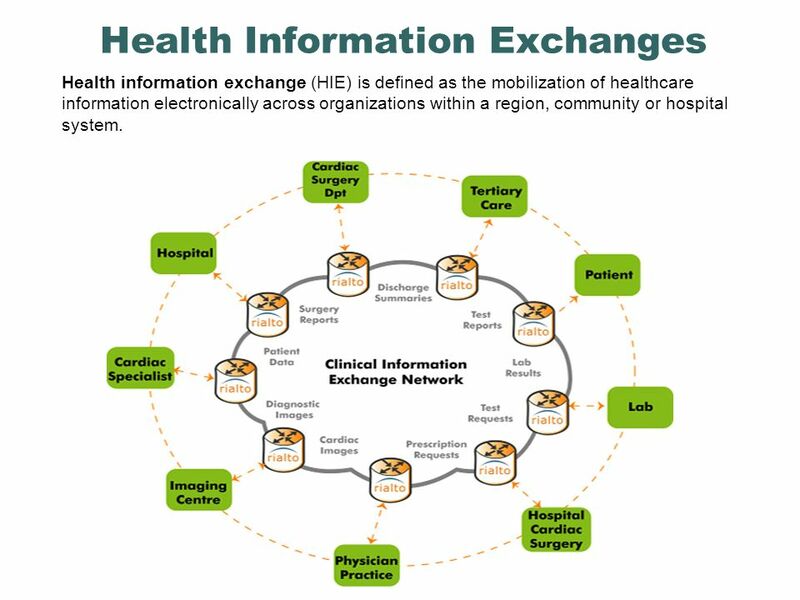 12 Health Information Exchanges Health information exchange (HIE) is defined as the mobilization of healthcare information electronically across organizations within a region, community or hospital system. 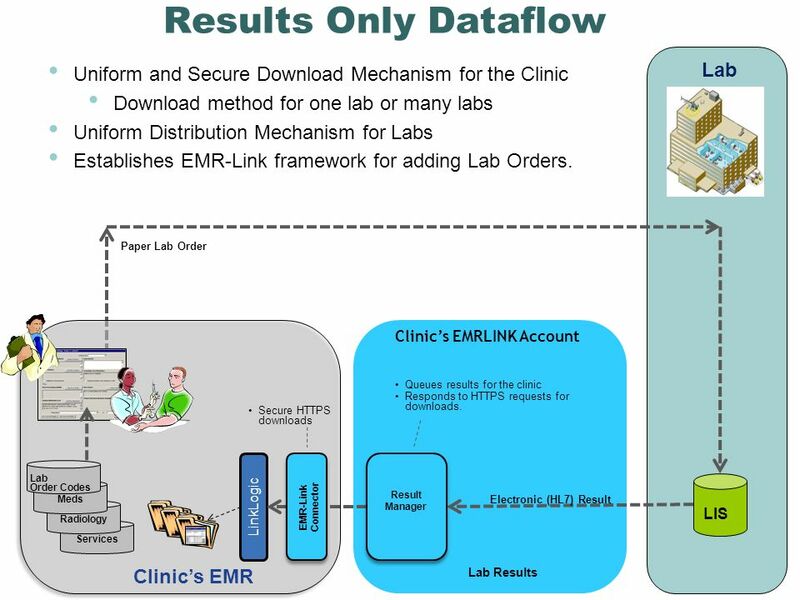 22 Services Results Only Dataflow Lab Clinics EMR LinkLogic Radiology Meds Lab Order Codes LIS Paper Lab Order Lab Results EMR-Link Connector Electronic (HL7) Result Result Manager Secure HTTPS downloads Clinics EMRLINK Account Uniform and Secure Download Mechanism for the Clinic Download method for one lab or many labs Uniform Distribution Mechanism for Labs Establishes EMR-Link framework for adding Lab Orders. 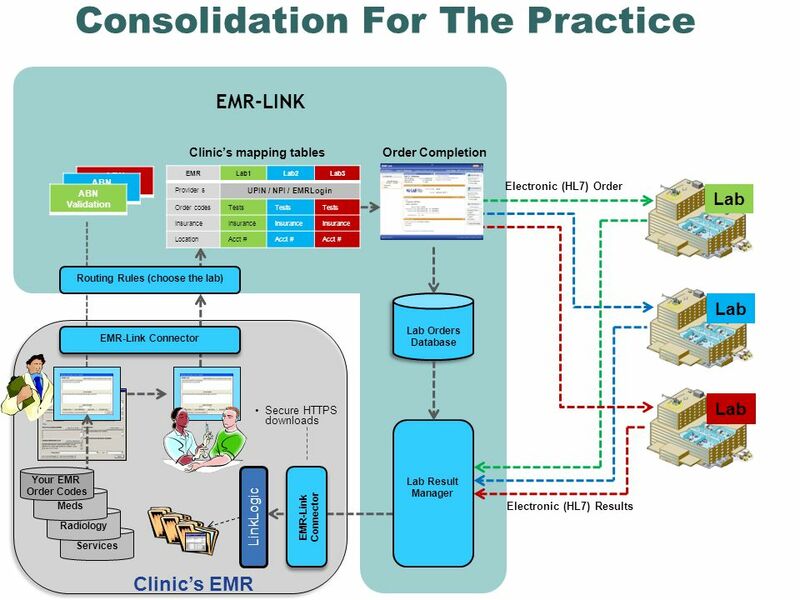 Queues results for the clinic Responds to HTTPS requests for downloads. 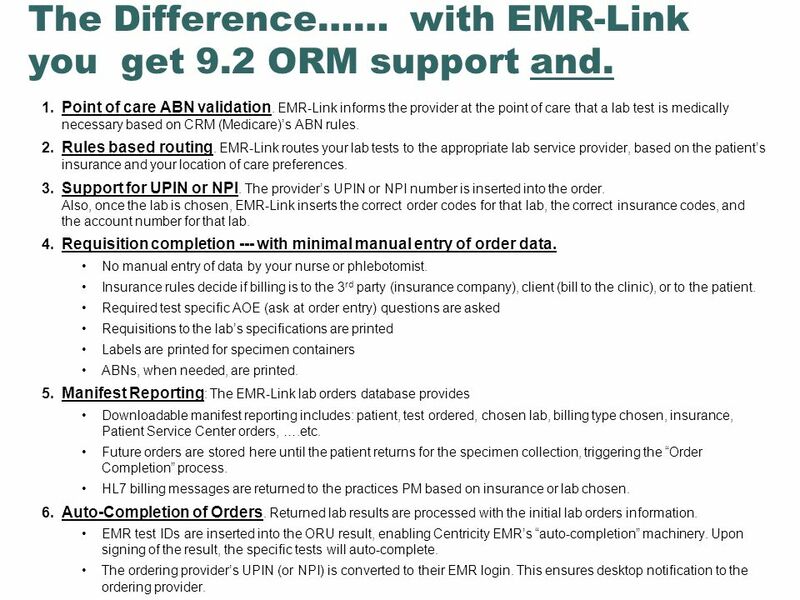 26 The Difference…… with EMR-Link you get 9.2 ORM support and. 1. Point of care ABN validation. EMR-Link informs the provider at the point of care that a lab test is medically necessary based on CRM (Medicare)s ABN rules. 2. Rules based routing. 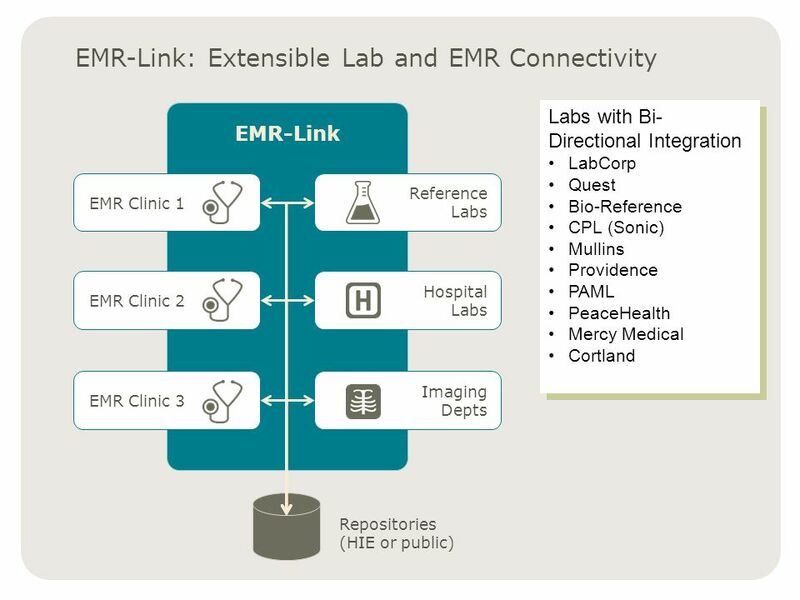 EMR-Link routes your lab tests to the appropriate lab service provider, based on the patients insurance and your location of care preferences. 3. Support for UPIN or NPI. 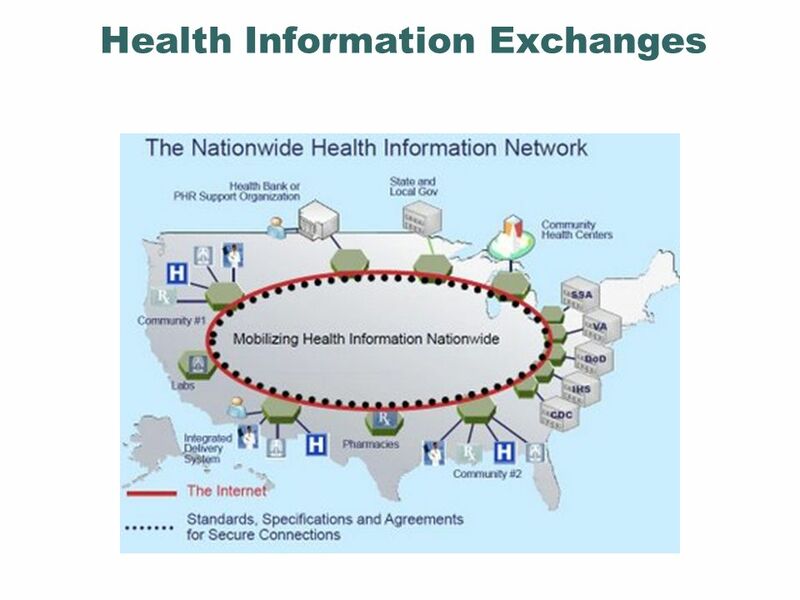 The providers UPIN or NPI number is inserted into the order. 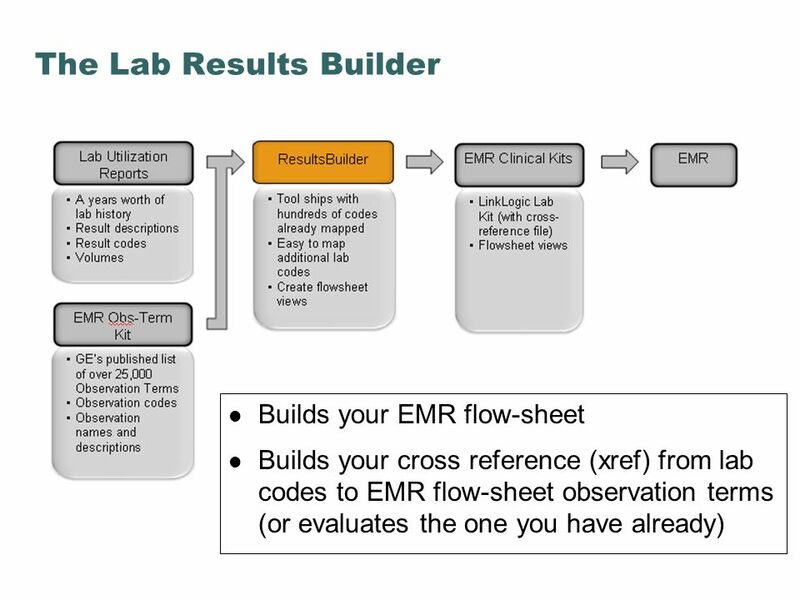 Also, once the lab is chosen, EMR-Link inserts the correct order codes for that lab, the correct insurance codes, and the account number for that lab. 4. Requisition completion --- with minimal manual entry of order data. 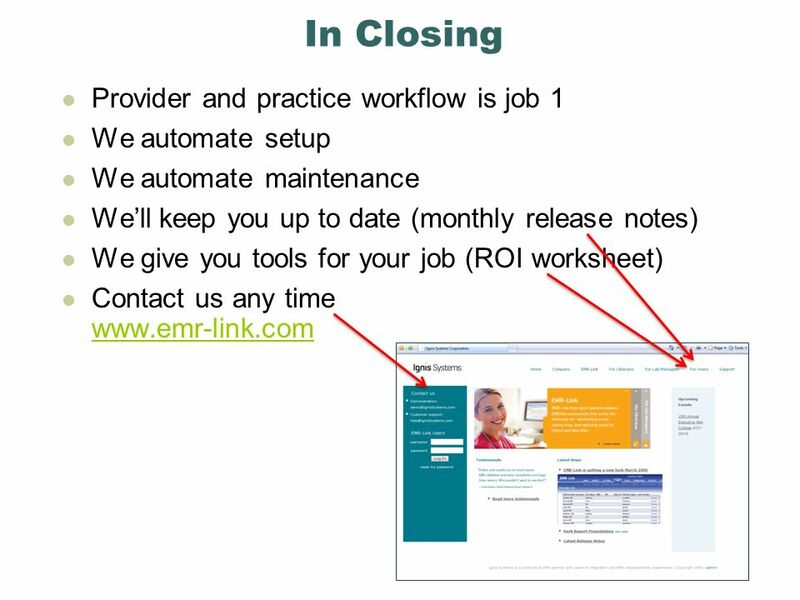 No manual entry of data by your nurse or phlebotomist. Insurance rules decide if billing is to the 3 rd party (insurance company), client (bill to the clinic), or to the patient. Required test specific AOE (ask at order entry) questions are asked Requisitions to the labs specifications are printed Labels are printed for specimen containers ABNs, when needed, are printed. 5. 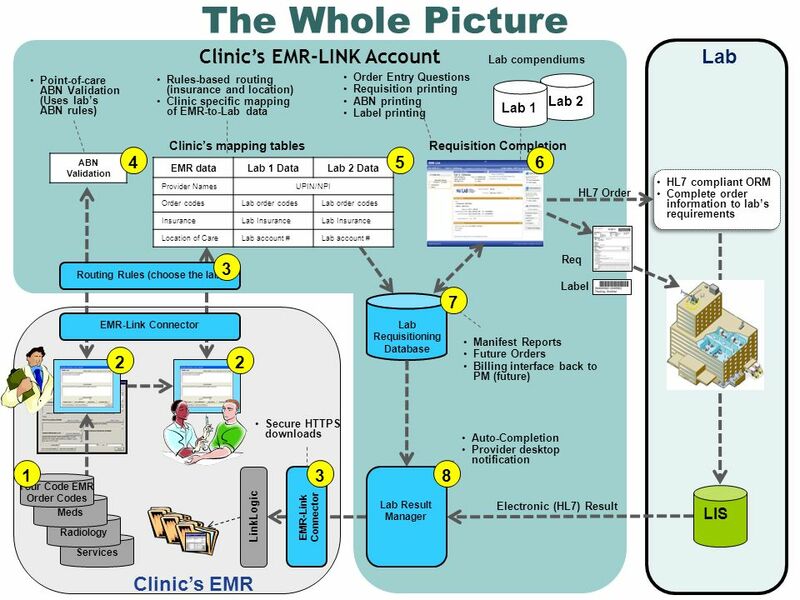 Manifest Reporting : The EMR-Link lab orders database provides Downloadable manifest reporting includes: patient, test ordered, chosen lab, billing type chosen, insurance, Patient Service Center orders, ….etc. Future orders are stored here until the patient returns for the specimen collection, triggering the Order Completion process. 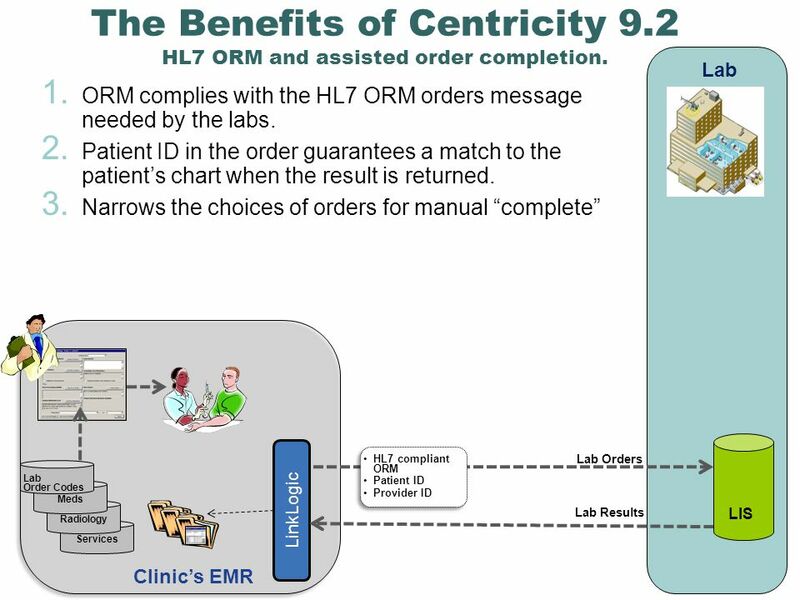 HL7 billing messages are returned to the practices PM based on insurance or lab chosen. 6. 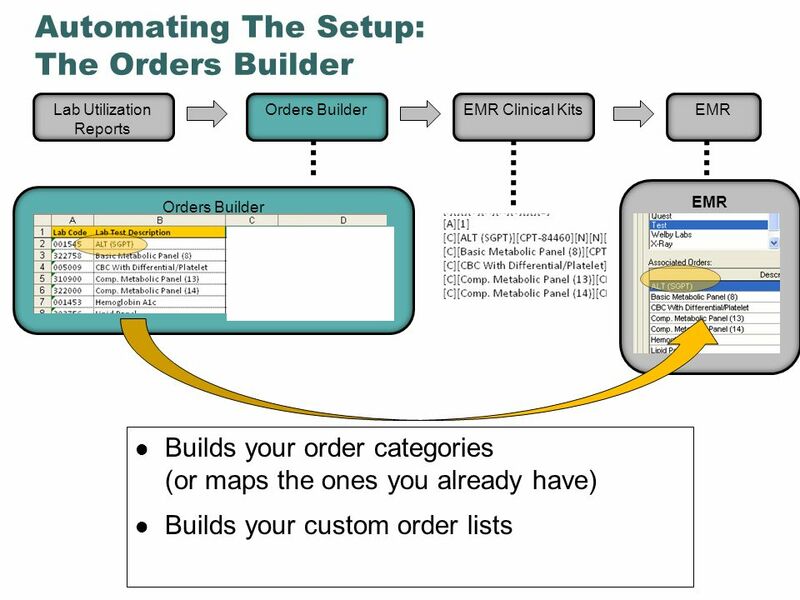 Auto-Completion of Orders. 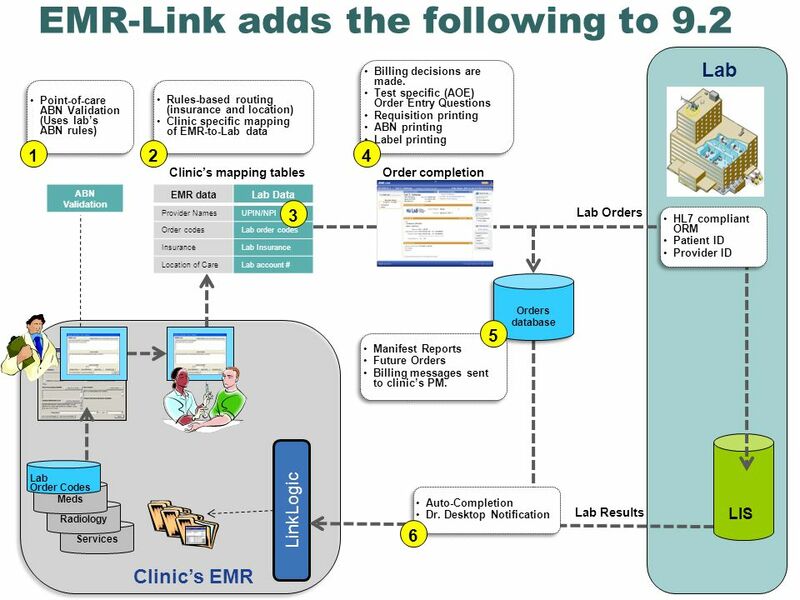 Returned lab results are processed with the initial lab orders information. 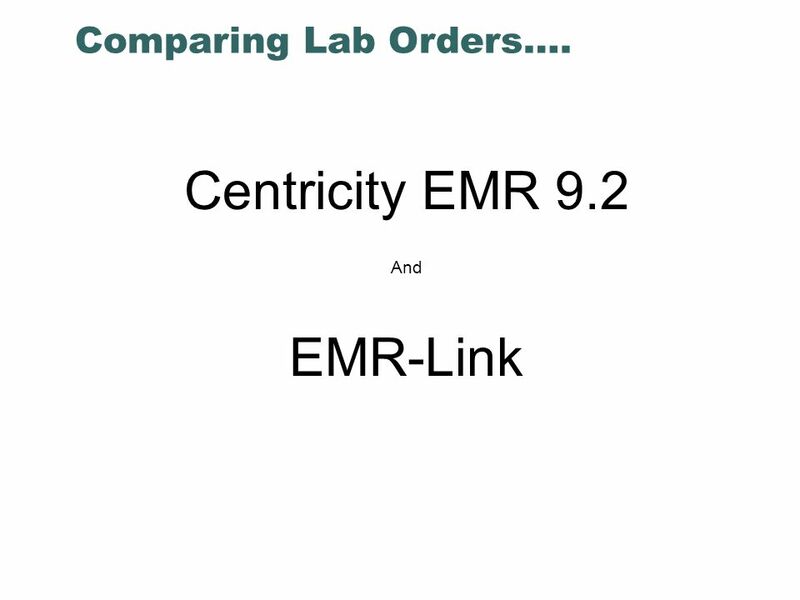 EMR test IDs are inserted into the ORU result, enabling Centricity EMRs auto-completion machinery. Upon signing of the result, the specific tests will auto-complete. 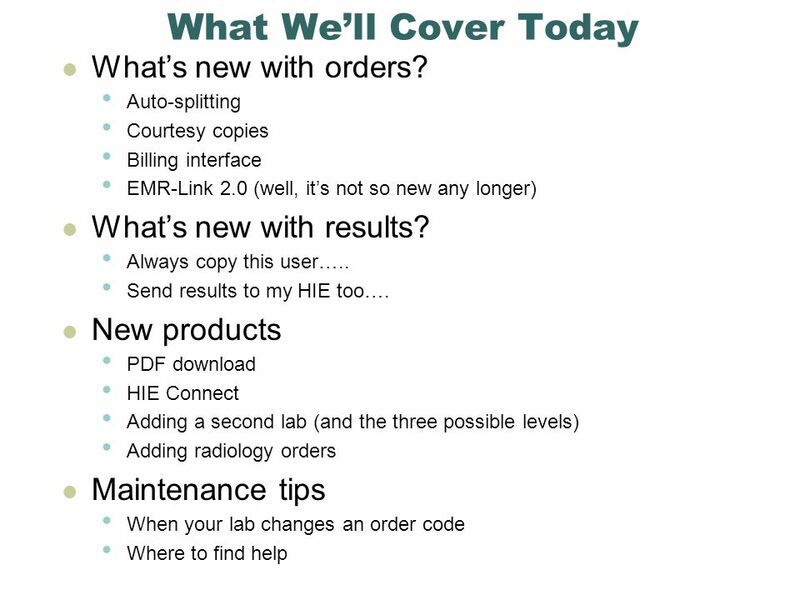 The ordering providers UPIN (or NPI) is converted to their EMR login. This ensures desktop notification to the ordering provider. 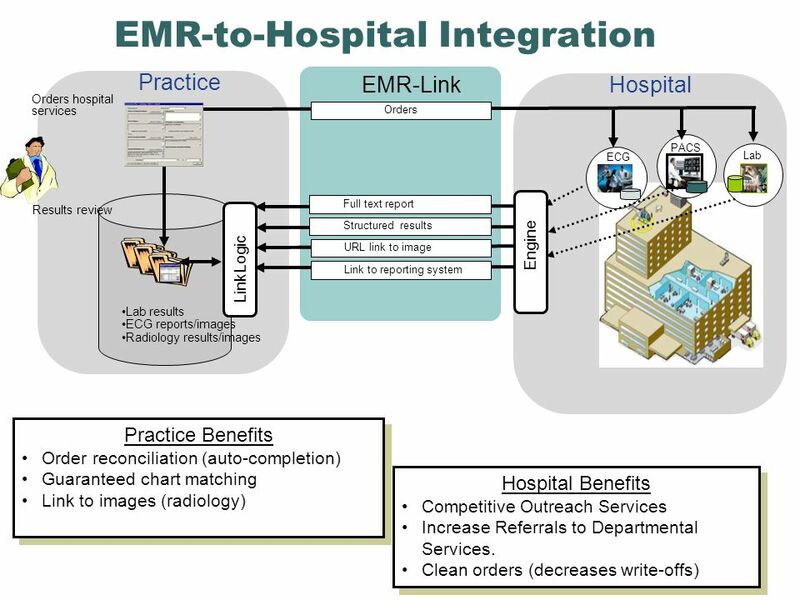 Download ppt "EMR-LINK A Fall 2010 Review. Housekeeping 1.Shrinking the GTM session 2.Being muted. Your Audio Pin Raising hands. 3.Well have breaks for questions. 4.Use." 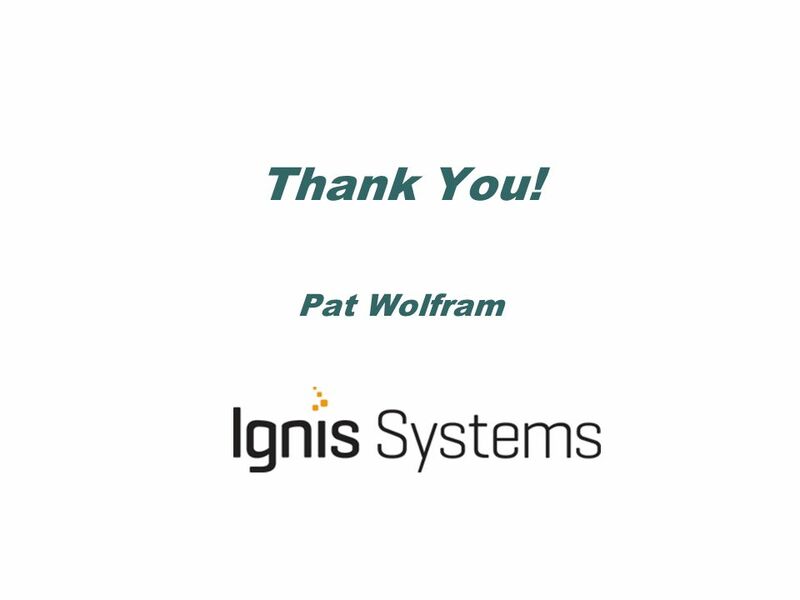 Orders Made Easy Pat Wolfram, Ignis Systems Ekem Merchant-Bleiberg, Alliance of Chicago. 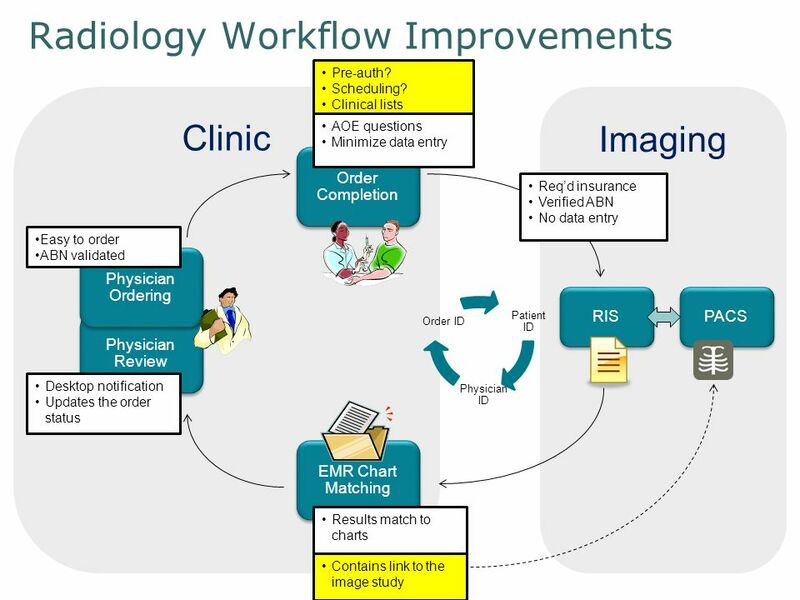 LRI Validation Suite Meeting August 16, Agenda Review of LRI Validation Suite Charter/Overview Acquiring test data update Review of proposed test. LeadManager™- Internet Marketing Lead Management Solution May, 2009. SEVOCITY WELCOMES 1. AGENDA Introductions Key Responsibilities Review of Key Information Major Project Steps – Review 2. Web Plus Overview Division of Cancer Prevention and Control National Center for Chronic Disease Prevention and Health Promotion CDC Registry Plus Training. 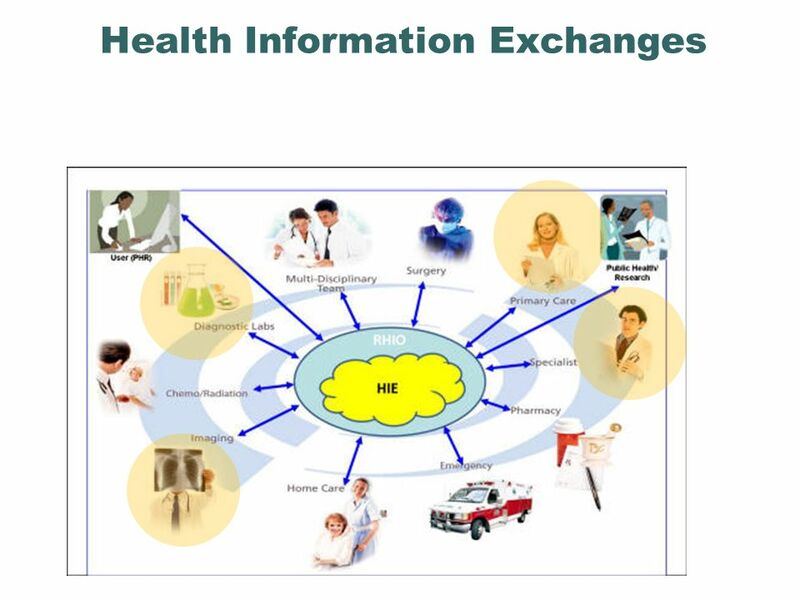 July 2007 Health-e Web Entry. © ENS Inc, an INGENIX company. 2 Introduction  Before your installation appointment, complete the following: (Call your. Welcome to the Oklahoma SoonerCare Program This introductory CD will walk you through the process of setting up your provider account on.